How to Automate Industrial Thermal Management | Noren Thermal, Inc. 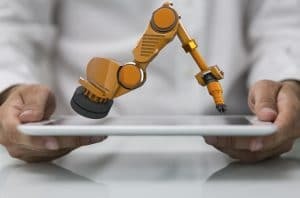 In today’s world of continuously more innovative technology, automation has become an important part of everything from improved production to advanced connectivity, communication, machine learning, and more. Heat exchangers have played an important role in making the adoption of automated technology possible by providing an equally hassle-free solution to electrical thermal management. As leaders in thermal management design and manufacturing, Noren Thermal has proudly provided clients in a variety of industries with the heat exchanger technology that has helped propel widespread automation. The ability to effectively manage electrical waste heat to prevent systems from overheating has traditionally been an accepted but burdensome cost of operations. Running air conditioner equipment to keep technology properly cooled may be costly and the cooling equipment may require frequent maintenance (or replacement), but it used to be the only option. This not only ate away at revenue, but also made it more challenging to implement more powerful technology. Heat exchangers solved most of the problems with traditional thermal management by eliminating the need for air conditioner equipment altogether. For technology that’s small and powerful enough to be automated, they provide a thermal management system that requires as little human interaction as the automated system itself. Heat exchangers utilize innovative heat transfer concepts, like phase-change cooling, combined with simple methods like natural and forced convection, to manage electrical waste heat without having to actively cool electrical enclosures. Since their introduction to industrial manufacturing, heat exchangers have also helped streamline operations by providing eco-friendly and efficient methods of redirecting thermal energy to be repurposed for other processes, like wastewater treatment. With the ability to operate continuously for years with minimal energy and little maintenance, heat exchangers are a valuable resource for today’s automated industrial technology. To learn more, call Noren Thermal, Inc. at 866-936-6736. Now located in Taylor, TX, Noren proudly produces all of our products in the United States and delivers them to clients nationwide.